Manicaland has been hit by a shortage of lagers which has seen traders spending several days in queues at Delta's Mutare depot. 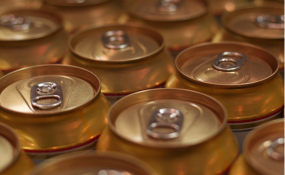 Retailers and vendors accused some of the firm's employees of diverting stock to the black market where lagers are readily available at a premium. They also accused the depot of failing to distribute the limited quantities of lagers that were available equitably. "What is surprising is that lagers are readily available in shebeens, yet as registered traders we are failing to get them from the depot itself," said a Sakubva trader who refused to be named, saying it would be bad for his business. Another retailer who also refused to be named said Delta should deal with what he described as saboteurs who were starving the official market, but flooding the black market and creating an artificial crisis in beer supplies. "I think it's a cartel which should be investigated," he said. "Why is it that these products are found on the black market and yet some of us sometimes spend two days camped by the depot, failing to get orders? We queue here all day till they close, only to be told to return the following day upon which we are greeted by a notice that beer is out of stock." When The Herald visited the Mutare depot on Tuesday, management said they had received one truckload of lagers which they had rationed to 10 crates per person. "Things are not well right now and we have been receiving few deliveries for a while," said an official at Mutare depot. "The situation is dire in the lager section, which is why traders have been camping at our gate. "There is a serious shortage of all Delta products, but you can get in touch with our corporate communications manager for an official comment." Delta's corporate affairs executive Ms Patricia Murambinda acknowledged that there was shortage of lagers countrywide and said they were working tirelessly to address the issue. "As Delta Beverages, we do acknowledge that our depots countrywide have been overwhelmed by the current demand for lager beer, resulting in product shortages in the market," she said.